3/8in. inset, 1/2in. 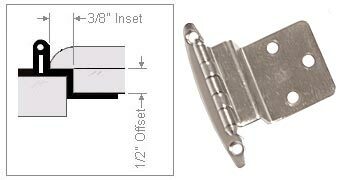 offset, face frame mount, non self-closing, cabinet hinge. Steel construction.